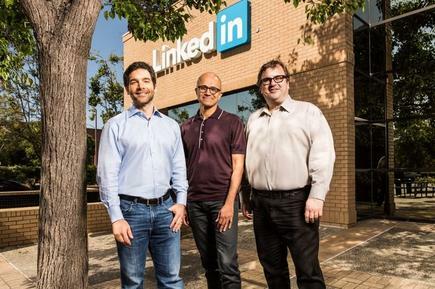 Closure of the LinkedIn deal starts the clock on a five year journey for Microsoft. As the industry gradually got to grips with Microsoft’s proposed acquisition of LinkedIn, the tech giant simply raced ahead and closed the deal. Since first announcing its intention to take control of the social media network in June, the cloud vendor completed its $US26.2 billion just over six months later, capitalising on a widening opportunity for Redmond. The acquisition is seen by many as one of “professional convenience”, as Microsoft sees untapped potential in driving increased engagement across LinkedIn, Office 365 and Dynamics. At the heart of the deal is data, exposing Microsoft to more than 433 members worldwide. 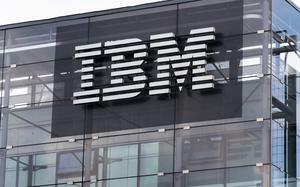 To maximise such potential the tech giant plans to utilise the expanding capabilities of the professional network, which includes the integration of LinkedIn identity and network in Microsoft Outlook and the Office suite, as well as the addition of LinkedIn notifications within the Windows action centre. Furthermore, the vendor will also extend the reach of sponsored content across Microsoft properties, integrate Enterprise LinkedIn Lookup powered by Active Directory and Office 365 while making LinkedIn Learning available across the Office 365 and Windows ecosystem. “As we articulated six months ago, our top priority is to accelerate LinkedIn’s growth, by adding value for every LinkedIn member,” Microsoft CEO, Satya Nadella, said. Collectively, Microsoft is betting big on LinkedIn, with the closure of the deal starting the clock on a five year journey for Redmond. “The future path of applications is starting to emerge as product categories begin to collapse into user-centric front ends that enable collaboration, communication and functional tasks such as sales, marketing or manufacturing,” Technology Business Research, vice president, Stuart Williams, said. For Williams, Microsoft took a “big step down that path” by integrating its Dynamics CRM and ERP packages, with its business applications of the future now including LinkedIn data and people-based data to facilitate interaction and commerce. “Merging Dynamics CRM with Dynamics ERP plus PowerBI and Cortana creates a cloud-delivered Dynamics 365 that connects the front- and back-office functions. Connecting Office 365 enables collaboration and communication,” Williams explained. With the the LinkedIn acquisition now closed, Williams believes Microsoft is now on the clock to monetise the $US26.2 billion cost. “Key to the value is linking the two graphs of enterprise workflow information and professional relationships by connecting LinkedIn data and content with Dynamics, Office 365, Cortana and Bing,” Williams said. 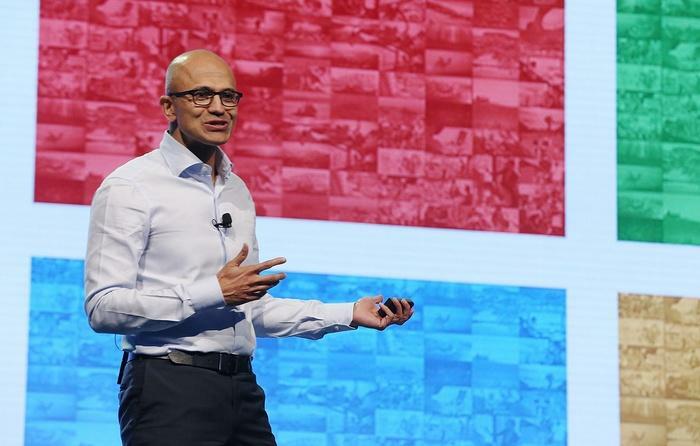 Looking forward, Williams said Microsoft must “explore multiple angles” to best monetise its investment in LinkedIn along with investments in operations, development, sales and expansion. “Some options offer immediate opportunities while others require additional investment,” he explained. Immediately however, Williams believes the vendor can drive LinkedIn growth via “robust Microsoft advertising and balance sheet” activities, which includes expanding the subscriber community via premium content, connections and career support. In addition, expansion plans for LinkedIn advertising and marketing are expected to commence in the near future, built around the need to connect members to offers and services based on profile information, which also fuels the Adobe Marketing Cloud alliance struck in September 2016. Delving deeper, Williams expects Redmond to expand recruiting, education and training services on the plans, while pushing Microsoft productivity and business processes, connecting LinkedIn members to tools and vice versa. Within this, the initial integration benefits for Office 365 will be around connecting content and work with people doing the work, alongside using Dynamics 365 to map LinkedIn members with business interests and needs, and then connecting buyer needs with seller operations and production. “Once it connects its portfolios and members with those of LinkedIn, Microsoft can begin to build new transactional marketplaces for education, goods and services needed by professionals and their enterprises,” Williams outlined. In a sense, Williams said LinkedIn is a globally available marketing platform that tracks its more than 400 million members. Consequently, Microsoft can capture a transaction fee by supporting the commerce conducted by the network of LinkedIn members, which only increases the value of membership. “A mature business-to-business (B2B) example is the SAP Ariba Network, which connects the trading partners, processes and back-end systems of over two million companies and supports 16.4 million users conducting nearly $1 trillion in annual commerce,” he explained. “Another example is Amazon Marketplace, which tracks over 285 million consumer profiles and enables two million large and small businesses to sell on the Amazon platform. To build out B2B or business-to-member marketplaces, Williams believes Microsoft needs to build or acquire multiple critical components to work at a global scale and at enterprise levels of service. For Williams, this includes a marketing automation platform, a recommendation engine for buyers and a reputation management engine for enterprises. Furthermore, value can be found in providing a commerce engine that connects to enterprises for purchase orders and contracts, alongside a payments engine and learning management systems, helping to create an ecosystem of business, advertising, education and development partners in the process. “Building a thriving ecosystem of partners that monetise a suite of company assets is a Microsoft core competency,” Williams added.